When an employee comes to you and asks to move to another team or transfer out of your department entirely, what do you do? As their manager, you’ve got some work to do before you give this employee an answer. First, decide if you can afford to let the employee move off of your team and if you can replace them. Then, to see if a transfer is the right decision for the employee and your company, there are a few things you need to consider. Find out why they want to move and how their performance reviews stack up before you reach out to HR and other teams or departments for openings. You’ll want to hold on to valuable and hardworking employees, so it’s important to consider all factors and how a transfer can benefit the employee as well as your company. First and foremost, ask your employee why they are seeking a transfer. Why do they want to move departments or change teams? There could be several factors driving their request and you want to make sure it would be a productive move for them and the company. Be prepared to ask probing questions regarding workload, management, co-workers, and their overall career goals. You might find the main reason is an issue that can be easily resolved with your help, alleviating the need for a transfer altogether. Or, there may be a deeper issue within your team that may be the cause for this employee’s request to move. If so, work with HR to address the employee conflict before approving any transfers. Does this employee come to work ready to knock out their to-do list each day, or do they come in with an avoidant attitude, unable to keep up with their daily goals? This employee may be doing their duties well and on time, but their current position may just not resonate with them. 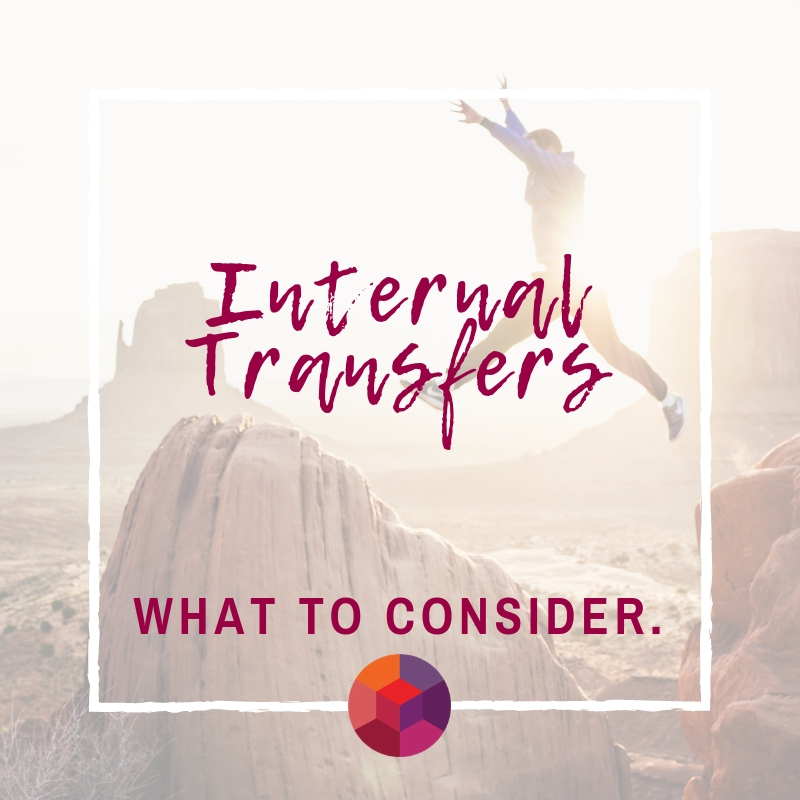 A good reason to consider an internal transfer is if they are a great employee that would be better suited and more satisfied in a different role within your company. Consider how integral their contributions are and if you can support your team without them. If they’re an invaluable player, it will be difficult to see them go, but it will be the best benefit to them and your company to transfer them to a role where they will have a greater impact. It may be the case that this employee just has a bad attitude and is an under-performer. Switching them to another team most likely won’t be the answer. If they aren’t a goal oriented and productive for your company now, why would they be so for a different department? If this employee hasn’t responded to your quarterly review recommendations, training, and disciplinary actions, it may be time to consider dismissing them. You’ll need to speak with HR to find out if you can grant the employee a transfer. Managers in prospective departments will need to be brought into the loop. HR should make the first contact by reaching out to the manager the employee may transfer under to find out whether or not they have the need for another team member and if they can make accommodations. They should be aware of who the employee is, their reasons for the transfer request, and what they bring to the table. Even if there isn’t a place to receive the transfer, this manager will know there is an internal referral interested should space open up down the line. Internal references are optimal for your company, the employee not only understands the culture, goals, and values of the organization, but will have an increased retention rate. If the employee has the skills and drive and if the other manager has an opening, it’s time to set up an interview between the employee and prospective manager. While the employee is already within the company they should be interviewed just like any other candidate who is seeking the position. This will reveal how serious the employee is about joining the new team or department by how prepared for and engaged they are in this interview. A successful internal transfer will not take anything for granted. They should communicate their reason for transferring, what they have contributed thus far, and how they can contribute more successfully in the new role. This process also avoids any appearances of favoritism. Internal transfers are not a new phenomenon, especially if you have a great culture and company. People will want to stay with your company but need to make lateral or vertical career moves. Have a thorough discussion with your employee to reveal the real reasons behind wanting to change teams or departments. Evaluate their strengths & weaknesses, productivity, and drive. If you see it as a fitting change, then reach out to the appropriate parties to begin the internal transfer review process. Work with HR and management to find the right place for them. You don’t want to lose a great employee if you can offer them an enticing opportunity to stay with your company. Realistically, we can’t expect our best employees to stay in their current roles forever, so, you’ll want to consider these factors and how an internal transfer can benefit everyone.